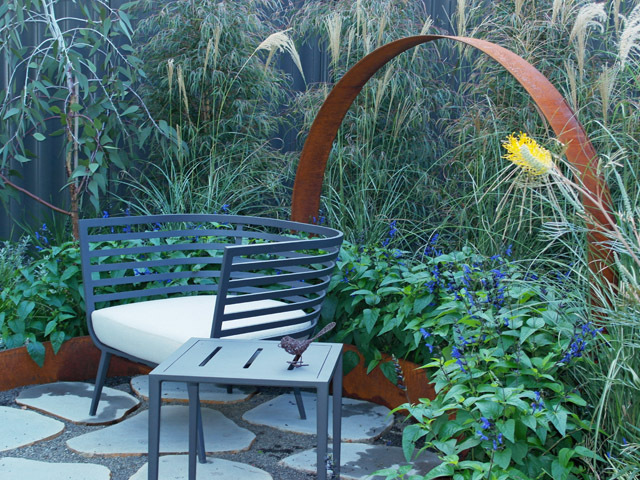 Greenlines Gardenware manufactures both stock and bespoke landscape products. 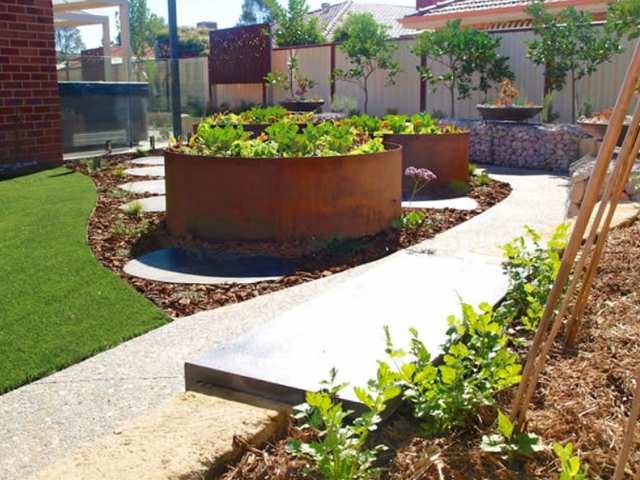 Their FormBoss® steel garden edging system is manufactured in Melbourne from high-quality Australian BlueScope steel. 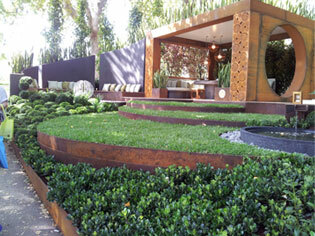 FormBoss® has gained an international reputation as the benchmark in safe, durable, strong and flexible garden edging. Quick and easy to install, FormBoss® edging is suitable for both DIY and seasoned landscapers alike. Create professional results with strong, seamless lines in practically any shape you can imagine. 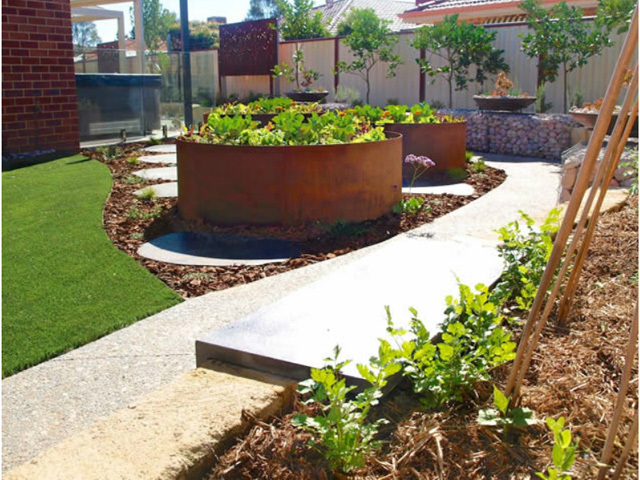 FormBoss® steel edging is the no-maintenance alternative to concrete, jarrah, aluminium, brick, plastic and other edging materials. 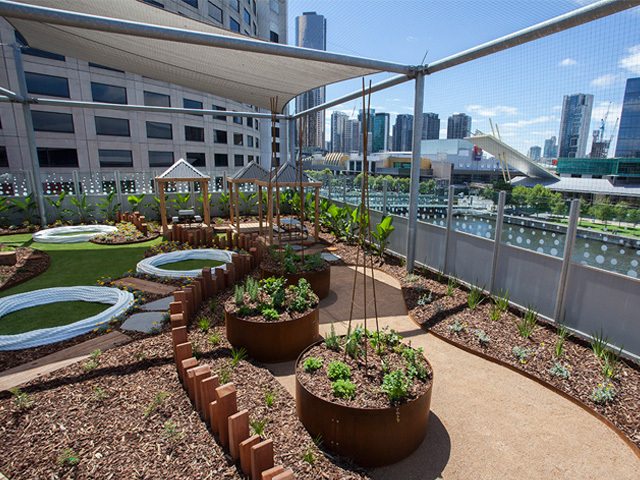 Established as the edging of choice in commercial and public spaces, it has now become the proven favourite in domestic garden design. 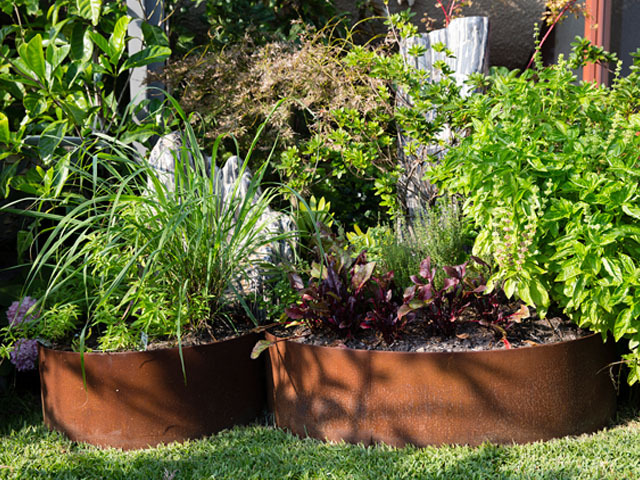 FormBoss® offers a large array of profile heights, finishes and raised garden edging solutions for all projects big or small. Elegant | Beautiful seamless lines with virtually invisible joints, hidden connectors and stakes. Shapeable | Create the shape you want, from intricate curves to straight lines or corners without the need to cut and join. Strong | Stronger than aluminium and traditional edging materials, it easily stands up to everyday use. Durable | Steel does not crack, split, rot or dint, and FormBoss® is structurally guaranteed for 10 years. Safe | The rolled top hides the connectors and stakes, leaving only a smooth and safe rounded edge, perfect for public spaces. 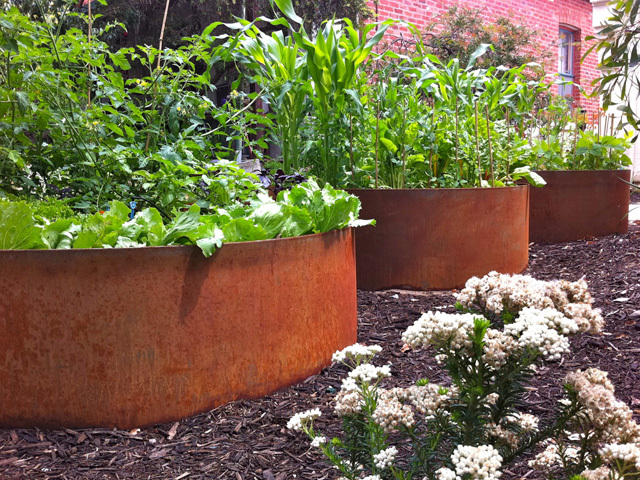 Value | FormBoss® is more cost-effective than plate steel, aluminium or concrete. Reduced installation overheads save both time and money. Avoid unnecessary reinstallation costs of other less durable alternatives. 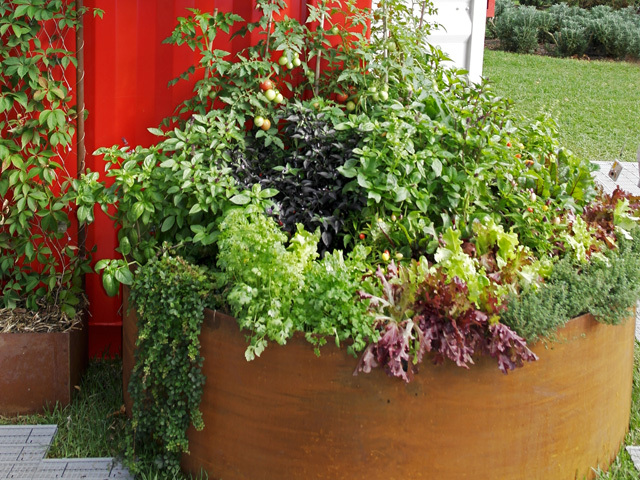 Versatile | There are multiple applications for FormBoss®, from flush borders to steps or raised gardens in any shape imaginable. 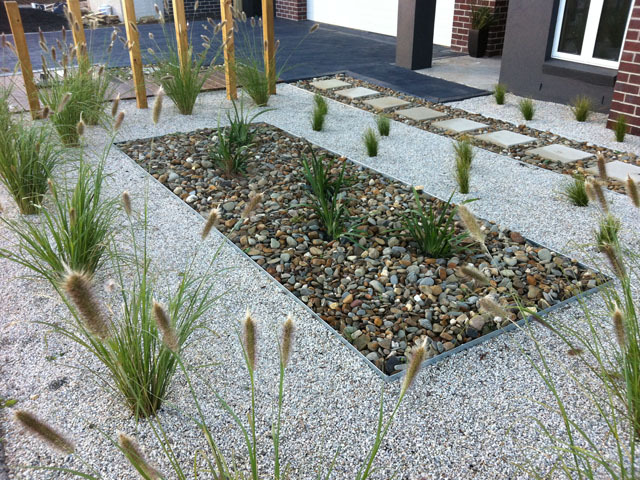 FormBoss® can be used across an entire landscape design to bringing all the elements together as one. 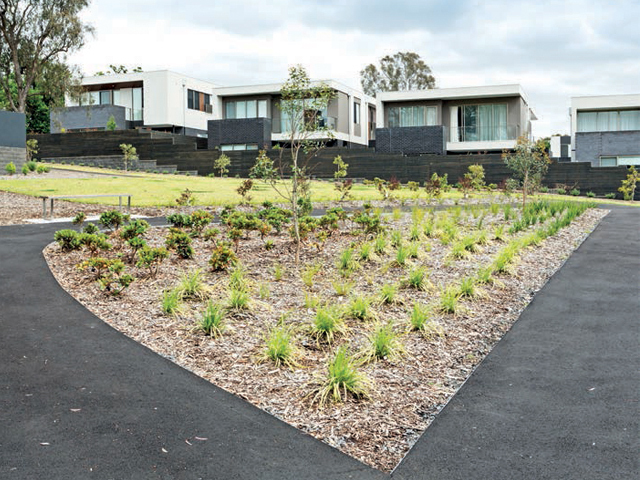 All FormBoss® edging is supplied in lengths of 2.44m, easily formed into distinctive shapes with long uninterrupted lines. Available from flush edges to 450mm-high retaining walls. 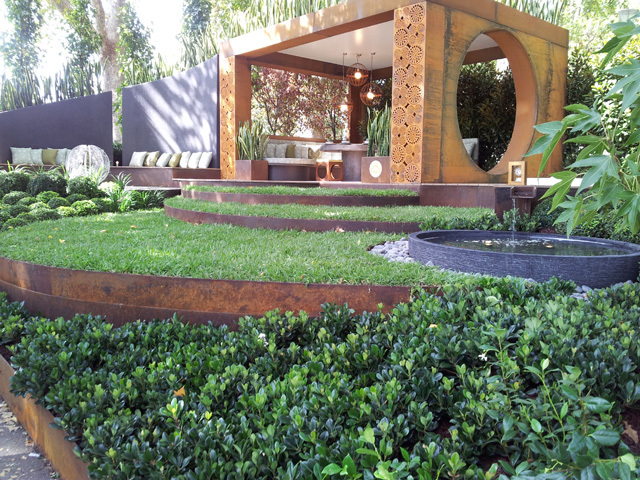 Cost-effective with quality guaranteed, REDCOR® Steel is Australian-made by BlueScope. 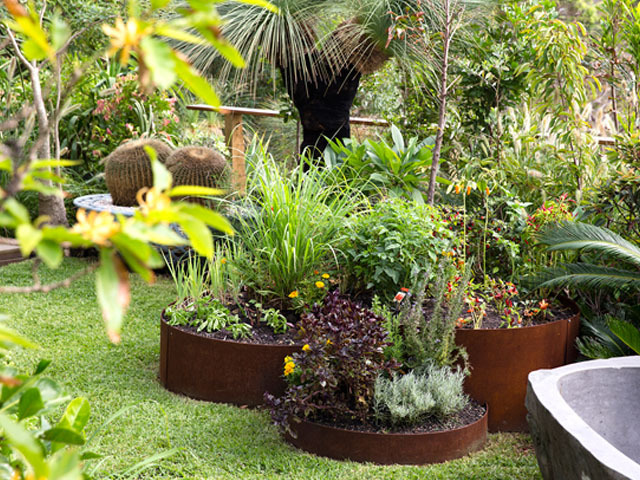 The popular designer 'rust-look' features a highly durable naturally weathering patina that blends perfectly into the Australian landscape. 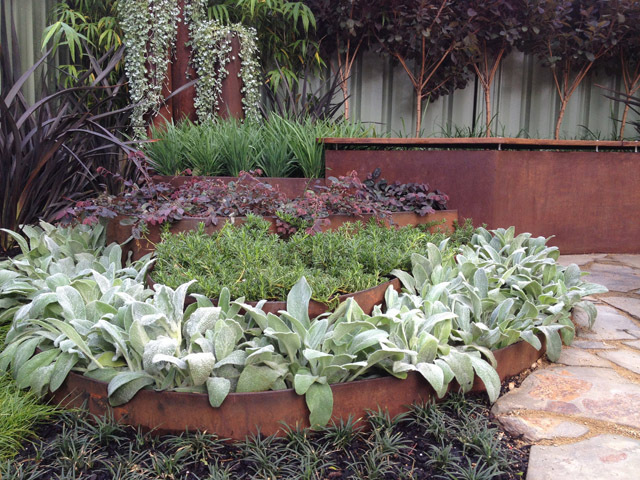 FormBoss® offers the familiar look and proven reliability of galvanised steel made in Australia by BlueScope Steel. It can be trusted to provide superior results with consistently high quality. An affordable alternative to stainless steel, the revolutionary ZAM® steel offers an elegant designer look. Greenlines guarantee the ZAM® range structurally for 15 years. 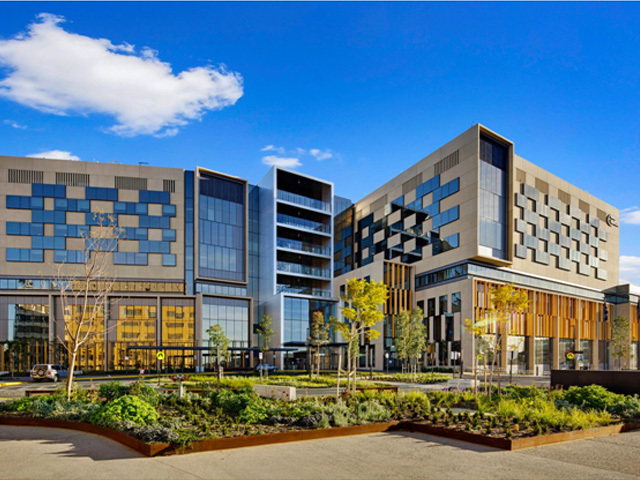 ZAM® has been shown to dramatically out-perform galvanised steel in highly corrosive environments such as coastal, industrial, pool and spa areas. 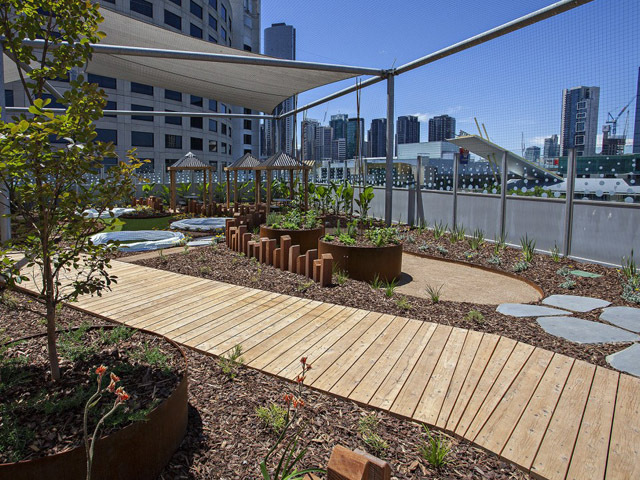 FormBoss® is regularly specified by architects and used by landscape professionals for major projects throughout Australia. 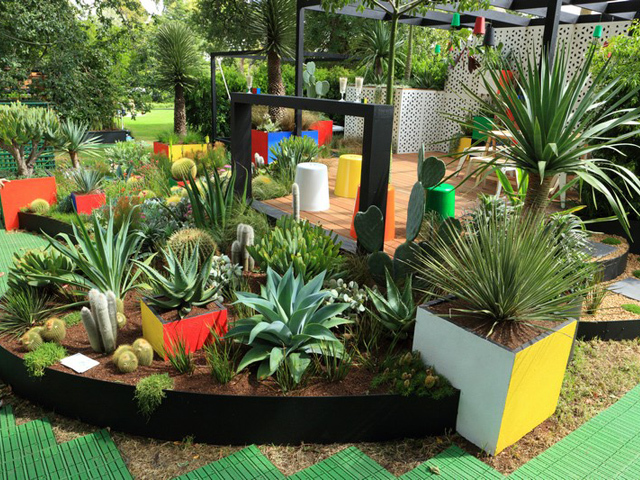 For inspirational ideas and a large gallery of projects visit the FormBoss® website. 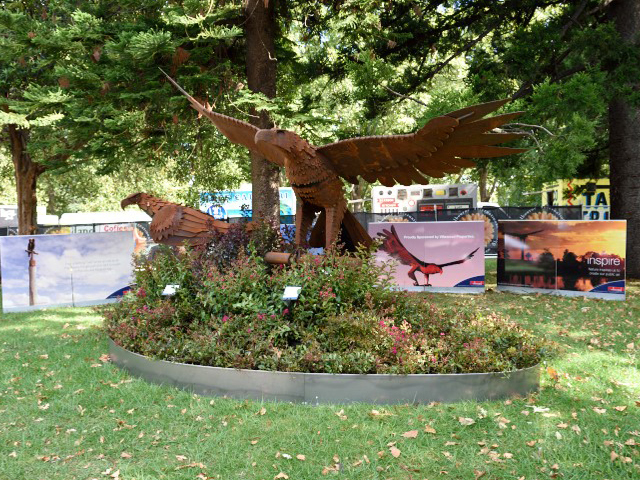 A network of stockists is located across Australia, with dedicated distributors in every state. Check the website for your closest supplier.